Take your mundane dishes to a new level with the Lifelong LLOT10 Oven Toaster Griller. 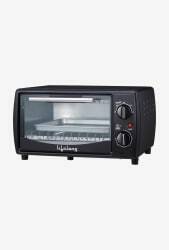 This stainless steel toaster, bearing a capacity of 10 litres can cook enough food at a time. With its 30 minutes timer and auto shut-off function, it alleviates your cooking task. In addition, it is equipped with a glass door that helps you monitor the food while being cooked.